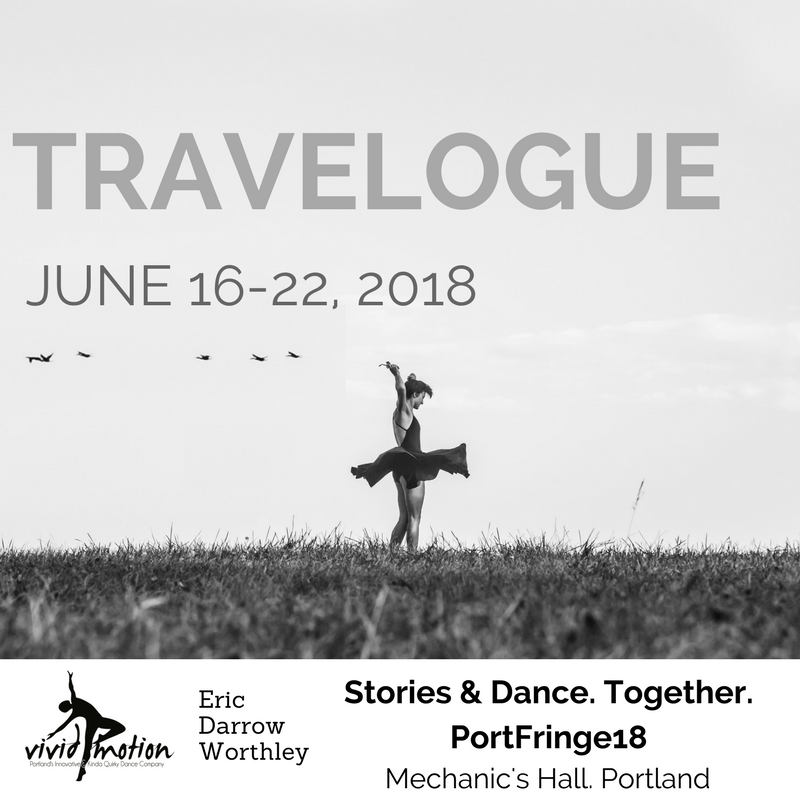 Vivid Motion and Eric Darrow Worthley collaborate for PortFringe18; telling stories from a world traveler through words and dance mixed together. Vivid Motion choreographers will use dancers to create pieces inspired by the stories and Eric will direct the actors who are telling them. Together the dance and the story will interweave to bring these tales alive in creative ways.